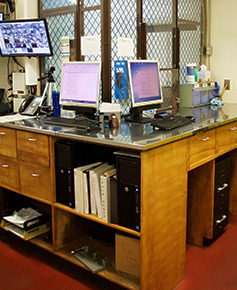 The Carroll County Jail is afull service facility operating 365 days a year on a 24/ 7 basis. Located at 43 Second Street S.E. Carrollton, Ohio 44615. The Carroll County Jail houses inmatesfor Juvenile Court, Municipal Court and Court of Common Pleas. All visitors must be registered forty-eight hours (48hours) in advance to visit and provide proper ID at the time of the visit. Inmates are permitted to visit two (2) of the three (3) visitation days per week . The visits last one-half hour (1/2). No letters will be accepted at the front window during visitation; all letters must come by the US Postal Service. All cell block phones will be turned off during the visitation time frames. Special visit arrangements can be made at the discretion of the Sheriff or Jail Commander. No contact visits will be permitted. Anyone wishing to mail a letter to an inmate can use the above address with the inmate's name. Inmates can purchase writing material and stamped envelopes during commissary days. If an inmate is at indigent status writing material and two (2) stamped envelopes can be provided on Saturdays only. All phone calls from the jail are collect and billed to the person accepting the calls. Inmates have daily access to the phone service from 06:00 -22:00. Prepaid phone cards can be purchase twice (2) a week from the in-house commissary. Phone cards from the outside will not be permitted. Clergy or attorneys can visit between 07:00-22 :00- Proper identification must be provided. Property for inmates must have their names on the items. Property, money, or money orders can be left at the front desk and all monies will be applied to the inmate accounts during the next business day and receipt issued to the inmate. Any special needed items must be either cleared by the Jail Commander, designee, or the medical staff. Any inmate confined in the facility wanting to release property to family or friends will be required to fill out a property release form with the list of items and the inmate and person picking up the property must also sign the form. During the inmates confinement the Carroll County Jail provides an in-house commissary where hygiene products , prepaid phone cards, stamped envelopes and snacks can be purchased. Basic hygiene items are available on a twenty-four hours basis upon request. An inmate confined to the facility as a result of pleading guilty or having been convicted of an offense will be required to pay an Administrative booking fee of thirty dollars ($30.00). This fee can be paid at time of booking or deducted directly from the inmate's trust fund account. The Carroll County Jail has a work release program. The Judge with jurisdiction over the inmate can grant the inmate work release. Any inmate granted this privilege will be required to pay a $5.00 a day Administrative fee and all required guidelines set forth by the jail must to met prior to leaving the facility. Any inmate on work release will be required to launder their own clothing. The Carroll County Jail provides several programs for inmates during their confinement. Leisure activities: television and board games.